Some borrowers come to the FHA loan process with a long credit history, while other borrowers are just getting started. Is it possible for a borrower be turned down for an FHA loan because of a lack of credit history? February 7, 2017 - Some borrowers come to the FHA loan process with a long credit history, while other borrowers are just getting started. That leads to a very important question. Is it possible for a borrower be turned down for an FHA loan because of a lack of credit history? I have old medical bills outstanding but everything else I paid cash for--I feel it unnecessary to have a credit card. Does this hurt my chances at an FHA loan? There are many different ways a lender can establish credit history besides credit card activity. Any type of payment such as utility bills, rents, student loans, etc. should all reflect a general pattern of reliability. A year of on-time payments leading up to your application is ideal. The lack of a credit history, or the borrower's decision to not use credit, may not be used as the basis for rejecting the loan application...Some prospective borrowers may not have an established credit history. Whether you have a long list of credit card payments or have what might be considered non-traditional credit or even a lack of credit history in general , take care to come to the FHA loan application process with at least a year of on-time payments on your record--that is the only way to apply for an FHA loan with confidence. 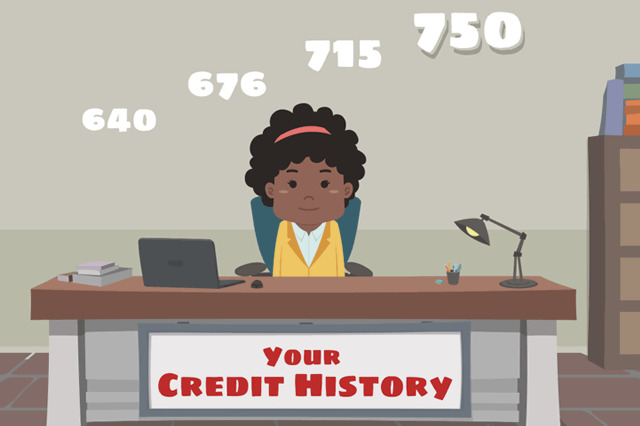 Your loan officer will verify your credit record in any case, whether it's traditional or nontraditional credit.